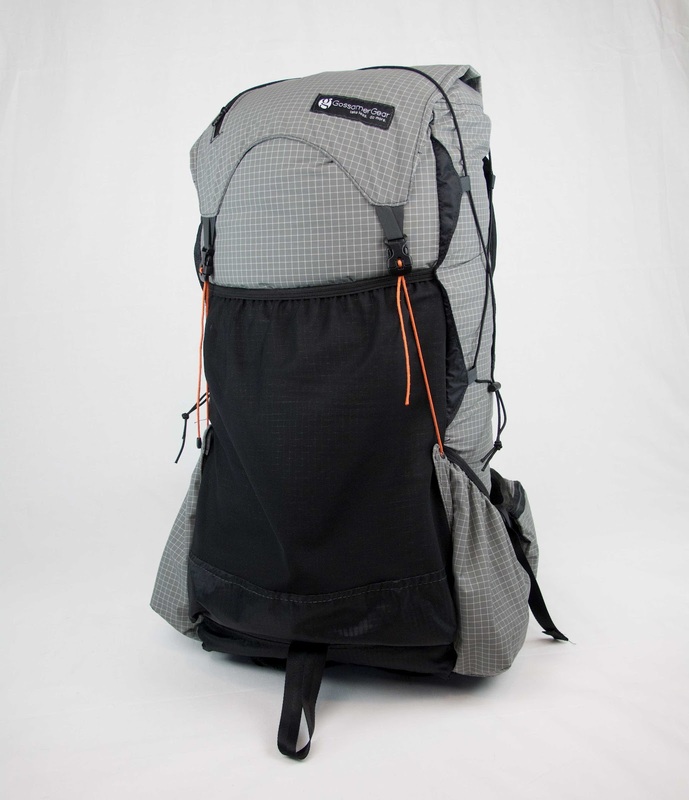 The Gossamer Gear Gorilla Ultralight Backpack 2012 edition has been on the market for a bit over a year now. I purchased one to give it a try and found I really loved a lot of the features of this backpack. Most of the below is from an article I wrote about a year ago on an old website I no longer use, and I wanted to get it moved over to HikeLighter.Com – so I have taken some of the below from my previous article and updated it with further thoughts after having used it a bit more. The Gorilla has been a very popular backpack on long distance trails and it has a nice 3,000 cubic inches (46 liters) of total capacity with a 35 pound maximum carry capacity – pretty much perfect for a thru-hiker or weekend hiker that needs the extra volume. The backpack averages 715 grams (25 ounces / 1.56 pounds) in weight, so as an UL/SUL long distance hiker it is something I could use, but is 10 ounces heavier than the ZPacks Arc Blast (3,200 Cubic Inches / 52 Liters – so significantly larger volume) and it is three times heavier than my primary custom made front panel loader backpack which is 2,200 cu in (36L) and 240 grams (8.47 oz). But as we all know, there are times when a heavier backpack is a very good thing. The Gorilla can take a serious load and keep you going without causing pain from having to heavy of a load in a backpack that does not have enough support. It has remained in my gear room specifically because of its ability to provide me the ability to handle a heavier load. 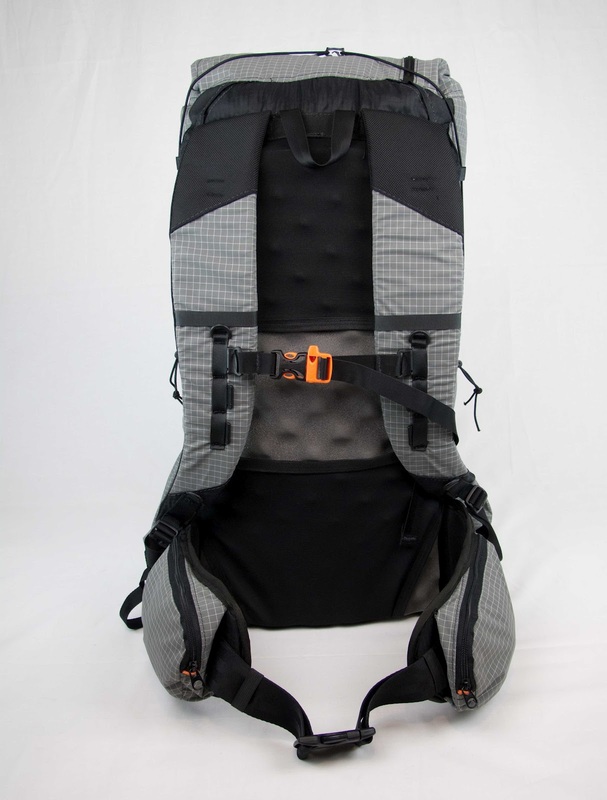 The backpack comes with pretty much every feature that we are use to seeing on high end full size backpacks – including a center loop which can double as an iceaxe strap, 6 exterior pockets, a crazy tough 140 denier Dyneema, padded hipbelts, curved shoulder straps, sternum strap, so on and so forth. Everything a weekender/long distance hiker needs in a backpack of this size. Two very sweet features of the 2012 version is that the internal stay support is now removable. This means that if you do not need to be out there with a 30+ pound TPW setup, you can pull out the stays and save yourself 96 grams (3.4 oz. ), and the hipbelt is also removable, allowing you to remove another 148 grams (5.2 oz) from the overall weight, bringing it down to around 470 grams (16.57 oz). The hip-pockets are very streamlined – which is nice for hiking in brushes and bushes and not getting caught on everything – and have a very good forward angle cut on them making it easy to get your bottle of water out of them. The shoulder straps have a three loop daisy chain with a sternum strap, which even has an integrated whistle buckle. The sternum strap is removable as well. To me the 2012 Gorrilla Backpack is one of the most exciting backpacks that are in the 3000 c.i. range that is on the market right now. This backpack is perfect for those looking for a backpack smaller than what ULA offers and not willing to go down the path of a Cuben Fiber backpack like what ZPacks offers. A lot more hikers are discovering the joy that comes with smaller backpacks and the 3000 cubic inch capacity is just about the perfect size for those in the Ultralight world of hiking. The backpack has proven to be amazingly tough, even through the wicked blackberry bushes and 6′ tall ferns we have here in my area. Low hanging trees branches and other low shrubbery have no effect on the material. The unique approach to the top of the backpack took me some getting use to. Once you do, if you have too get use to it, you will discover it is a rock solid approach to closing a backpack. I would have liked to have some side compression straps on a backpack in the 3000 cubic range, especially for those time when using it without the stay and hipbelt and a much lighter load, in order to reduce the overall bulk size of the backpack while hiking. The shoulder straps are a traditional J-style cut, with the curve fairly far down. Really looking forward to a future S-Style shoulder straps from Gossamer Gear, if they ever decide to offer this option. I would prefer both a S-Style shoulder strap and have the shoulder straps curved out rather than be straight down, but these are just my personal preferences for backpacks. All in all a very impressive backpack for those looking for a 3000 cubic inch backpack and/or for those with a Total Pack Weight of 25-35 pounds. In accordance of USA Federal Trade Commission 16 CFR, Part 255: I hereby declare that the products mentioned within the content of this article were not supplied to me in exchange for services. I am a Trail Ambassador/Sponsor of Gossamer Gear. All products mentioned within the content of this review are free of endorsements between myself and the manufacturers and meets all FTC 16 CFR.255 compliance requirements. Thanks for the update John. I bought the Gorilla last year and I really like it. You can save a little more weight (about 1.8 oz) if you take out the sit pad. As my gear has gotten lighter and smaller I found I didn’t always need the 3000 c.i. the Gorilla has. So, I bought the Gossamer Kumo. It has about 2200 c.i. and weights 14.5 oz without the sit pad. It is just right for most of my trips. I usually carry about 13 to 14 lbs total pack weight (3 to 4 days food and 1 to 2 liters of water). But if I need to carry my warmer sleeping bag, pad and more clothing for cold weather the Kumo can get a little tight. That’s when I switch back to the Gorilla for the extra volume. I have a lot of gear from Zpacks and have been tempted to get a backpack from them for the weight savings. However, I am very happy with the Gorilla and Kumo combination. They are both great packs. Nice review, thanks John. May be my next pack. Gossamer makes a nice well thought out pack. Using the Murmur now, considering the Kumo or Gorilla for longer hikes. John, nice review and update. The video at the end is excellent and shows the thoughtful design of the pack. Thanks for sharing. I have a Miniposa and a Gorilla – the Miniposa is no longer made (Shame! :-), but a large Kumo would be similar I guess. Both have lasted extremely well. The Gorilla is noticeably tougher than the Miniposa, it is easy to see that the extra weight has been put to good use. I can carry 30lb in it easily, necesssary in my beloved Pyrenees because of all the food you have to carry. Since I bought mine there have been several changes that all look like good ideas. Between them, they meet all my needs for both shorter and longer walks; Gossamer Gear is good stuff. I wish they had a UK distributor! I cant seem to find it in your reviews, have you done a review of the GG murmur?